At least it was for me and I can only speak for myself. If you have been followingreading my posts over the last few weeks, you know that Baby L is still breech & last week at my appointment my dr told me that he didn’t think baby would turn. So I was left with 2 options….deliver a breech baby or have a csection. To be honest, when I first was told that having a breech delivery was a possibility I did look up what it involved and what could happen to Baby L with a breech delivery but didn’t look too much into because I was convinced that the baby would turn….all mine have before. Well now that I am 39 weeks & baby still hasn’t turned…I am forced with looking more into and make a choice of which delivery I am willing to do. We spent yesterday with my mom and step dad (my step dad owns a peditricians office & knows a lot about this kinda stuff) and I was talking with him about this topic. Of course my SD isn’t going to lie or sugar coat anything with me (which is a good thing) and after talking with him & doing some more research this morning, I have come to the conclusion that I will be having a cscetion if Baby L still doesn’t turn. I still have to tell my dr about this choice (my appointment isn’t until Thursday this week) and see if I can wait longer to see what Baby L does or what. This is new territory for me so I don’t know what will happen next. I am super bummed because a csection is planned & it just takes all the fun out of knowing when your baby will be born. I am not that thrilled about this choice & am praying that God will help me become at peace with this choice. But after reading up on the complications that could occur with a breech delivery, I would rather not put Baby L in that position (no pun intended :)). I would much rather do something that I don’t want to do in order to make sure that Baby L is safe & arrives the best way possible with the cards that we are dealt. I so very much want to be selfish and have a breech over a csection (something I have never wanted….EVER!) but I know it’s not the best route for my baby. Yes, I know that the things that read are things that could happen. I know that it doesn’t mean that it will happen toBaby L. I know that I could have a breech delivery & everything be just perfect. I also know that I am not willing to add harm to my baby just because of couldmight happen. The things that I read about that could happen is not something that I am willing to risk. I would rather go through the pain & longer recovery & swallow my pride than to risk something with Baby L. I would forever feel guilty if I did what I wanted and something happen to Baby L that could have been prevented. I cannot see nor predict the future but what I can do is make the best choice for my unborn child. And right now, this is the best choice for me and Baby L.
I will update sometime Thursday after my normal weekly drs appointment. 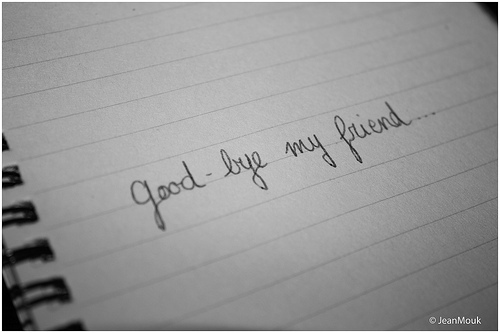 This is not my choice in saying goodbye to this friend. I noticed awhile back that we weren’t friends on FB anymore. We were close friends even though we had never met & lived in different states. I felt that I had been by her side through anything that she needed me to be there for her. I wasn’t always able to drop what I was doing to answer her messages or talk with her, but when I could clear my head & write from my heart I did. I didn’t always post on her wall because I thought we were at a point in our friendship that I didn’t need to do that sort of thing. We had a falling out a few months ago but it was over a miscommunication\misunderstanding. It was worked out and we went on our merry way. I did feel differently toward her after this but still wanted that friendship with her. Figured that it would just work it’s way out and things would be normal between us again. Apparently it wasn’t meant to be. I went to write on her wall & say that I was thinking about her and that’s how I found out we weren’t friends anymore. I was saddened by this because I really did value our friendship and love her. I have sent her a message on FB asking what happened & haven’t heard back from her. I am pretty sure she was read it, but I am not going to push it & let her come to me when she is ready. If you have a friend that you are close with & something happens or you are starting to feel a certain way….please talk with them about it instead of just leaving the friendship & having the friend wonder what happened and what they did wrong. Don’t just close doors to the people that love you & then not explain to them what happened. I am sure that you wouldn’t want someone to do that to you – so please don’t do that to other people.